Value Growhouses are an ideal solution if you’re trying to get planting off to a flying start, or for protecting your plants over winter. If you want to grow more delicate plants, a growhouse will provide added protection to give them a better chance of surviving. 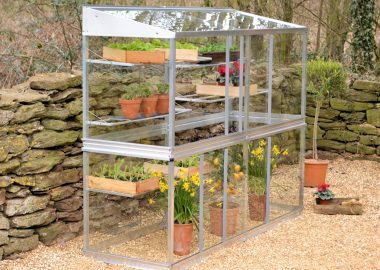 For smaller gardens, a half growhouse will give you plenty of growing space without taking up too much room. These can be fitted with a timber base for growing in soil on a patio. NEW 6ft Value Growhouse now available. 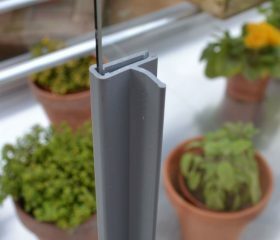 Our value growhouses are suitable to stand anywhere in your outside space and come with a quality framework with 3mm horticultural (toughened safety) glass. Our unique sliding door design offers easy access and superb ventilation. Adjustable seed tray shelves are included. 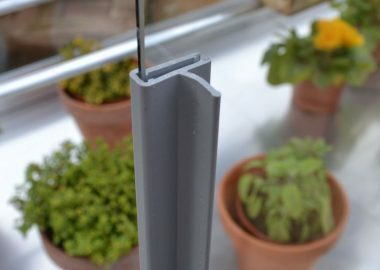 Two heights are available – the full height growhouse is tall enough for tomato growing. The half-height growhouse is ideal for seedlings and peppers. For more information on our value growhouses, watch our Video Guide. 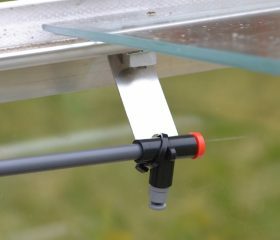 Accessories include the NEW automatic louvre vent, shade covers, shelf covers for small pots and self-watering trays. Spares are also available to order online. To find out more about our growhouses, call 01788 822301 or email [email protected].